Over the last few months I've realized something. After spending most of my life worried about what other people think about me and my decisions, I'm finally at a place where I, in the words of Mark Manson, don't give a f*ck. (I'm not trying to swear there either, if you've been living under a rock for the last year or so, that's the name of his best selling book - which I highly recommend by the way). To elaborate, I am now at a place where I am confident in who I am, what I'm doing and what I stand for. Well most days anyways. Fear of other people's opinions can paralyze us. So many of us don't do things that we actually want to do, because we are worried about how it will be perceived. We let other people tell us what we SHOULD prioritize, instead of following our own gut. In fact, often we spend more time worrying about what other people will think, than we do going after what we truly want. When I say that I used to worry about what other people think, I mean I used to REALLY worry about what other people think. You see, even though I've always had a tough exterior and came across as confident and secure - for the longest time, inside it was a completely different story. You may be reading this and thinking to yourself, "Jamie you put your whole life on the internet, how in the world can you be a self conscious person?" It used to take me HOURS to get ready for events. I'd change a ba-zillion time, worrying about whether my outfits made me look too juvenile and too immature (Remember, my husband is 13 years older than me, and there were obviously some opinions about his "new young wife". I spent over a year THINKING about writing this blog before I actually started writing it. The stepmom stigma and stereotype is the real deal guys - what would people think if I started writing about it? 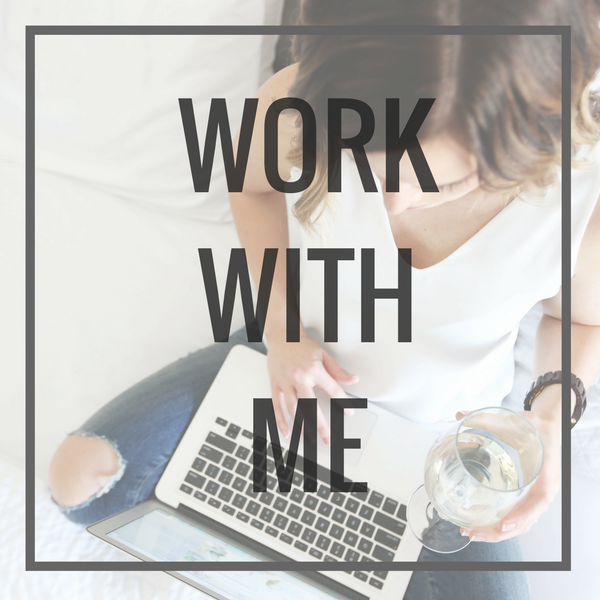 When the blog and coaching business got to the point where I was actually making money, I spent a year and a half telling people that I am a "stay-at-home-mom" when they asked me what I do. I'm not saying there is anything wrong with being a stay-at-home-mom - it's a tough gig - but it's not mine. The kids are at daycare and school. Even though I was working my tail off building this online platform, I didn't tell anyone what I was truly doing. Why? I wanted to avoid any judgement that comes from telling people that I am a "blogger", or even fluffier than that, an online life coach! Even until recently, there were things I didn't not put on this blog because If feared how it would be received. I let other people be the expert on MY life. Thinking about it makes me cringe. What a waste of time! Then, and I'm not sure exactly when it happened, I decided to grow a pair of lady balls. I decided to start living my life according to my own agenda! Now I rock more of a "here I am take me or leave me attitude" ... and guys, it feels good! If you like me, cool! If you don't, well, thats cool too. Go find someone you do. But here's the truth about getting to this place, and I'm about to contradict myself here. It isn't actually about NOT caring what other people think of you. To a certain degree, it's necessary to have some cares or some f*cks as Mark Manson refers to them. The key is to put weight on the right people's opinions. Personally I have a very select number of people who's opinions I allow to influence me. In fact, when I started writing this blog post I thought the number was 5 but it turns out it's only 3, well maybe three and a half. So how the heck do you get to this place? Well, you have to do some digging and ask yourself some really important questions. You also have to give yourself some serious pep talks when you fall back into the black hole other people's opinions. Then, straight up, you fake it until you make it! Since I could ramble on about this for abut 10 more paragraphs, I'm going to cut to the chase and just share 8 Tips that will help you start! When you find yourself caught in the vortex of someone else's opinion, ask yourself "What is it about this person's opinion that I value? What am I seeking? What am I craving? Why does it really matter?" 2. IS IT IN MY BEST INTEREST TO PUT WEIGHT ON THIS? Is this person really on my team? Do they REALLY want the best for me? Do they REALLY want to see me succeed? Is it coming from the right place? Never forget that people's opinions of others are often a direct reflection of their own insecurities and perceived short comings in life. You know what they say, we are a combination of the 5 people we spend the most time with. Surrounding yourself with people who have similar goals and aspirations in life is key in any area of success. Seek out people who get it, and who are striving to do and achieve similar things. I'm talking about online too here! Tailor your social media feeds so that they inspire you, not bring you down. 5. ASK YOURSELF, “WHAT WOULD MY 95-YEAR-OLD SELF SAY? Guys, this sounds a bit corny but it's such a powerful tool. When you're struggling or perhaps spending your valuable time and energy worrying about someone else's opinion, ask yourself, "What would my 95-year-old-self tell me do to here?" When I'm 95-years-old sitting in a rocker looking back on my life, will this really matter? Will I feel good about the chances I have or have not taken, or the decisions I have or have not made. Will I feel good about the life that I am living? Get REALLY clear on what you want to achieve in life. What does that look like? How does that feel and most importantly WHY do you want to achieve it. Picture it! What will life be like when you achieve it? When you're not clear on your WHY, you're more apt to let other peoples opinions influence you. The more clear you are, the more likely you are to be able to power past the opinions of others. Write a list of people who's opinions you care about and think really clearly before you put them on your list. Just because they are a family member or a life long friend, doesn't mean they automatically make the cut. Don't put the friend who's always been jealous on your list, or the family member who's never supported anything you've done. Add the people who have always supported you, who believe in you and ultimately want the best for you. Add people who are inspiring you and who are perhaps, one or two steps ahead of you in the game. We don't like or understand everything everyone else is doing - so why do we expect that for ourselves? People have different goals, different values, different personalities and different motives - and that's okay! Like this post? Give it a like, leave a comment and share it with your friends! I love hearing from you!